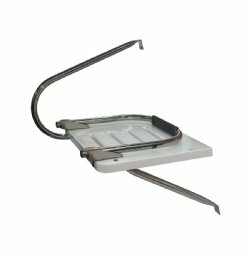 JIF Marine Single Step Stainless Steel O-B Transom Platform Ladder, 2" Non-skid Step, Single Stainless Steel Grab Arm, .316 Stainless Steel. 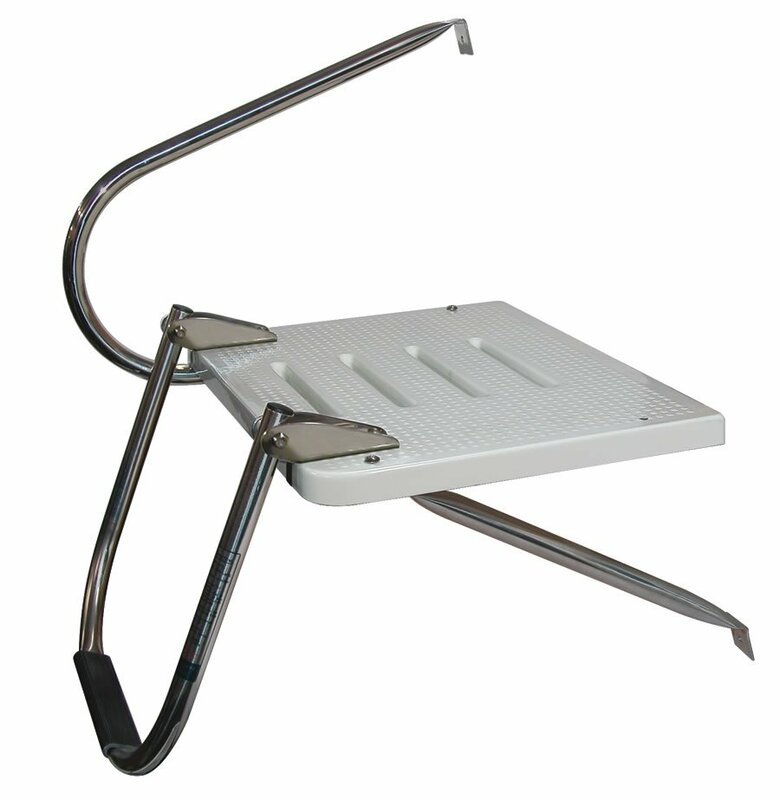 (Picture shown is Single step platform ladder). Easily mounts to O/B applications. 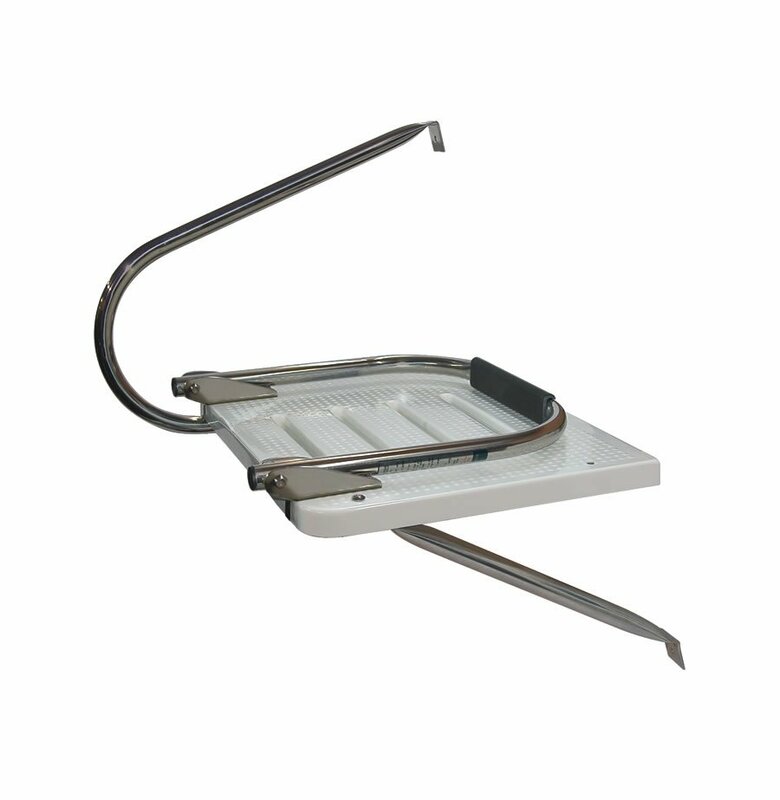 Ladder is constructed of .316 stainless steel tubing. Fold down ladder features soft vinyl steps. 1 stainless steel grab arm.